Letting down (lengthening) trousers, skirts, dresses &; outer garments, Taking up (shortening) jeans, trousers, skirts, dresses and outer garments. We can replace zips and buttons, repair buttonholes or alter an outmoded garment. We can repair holes and tears, including weave mending. 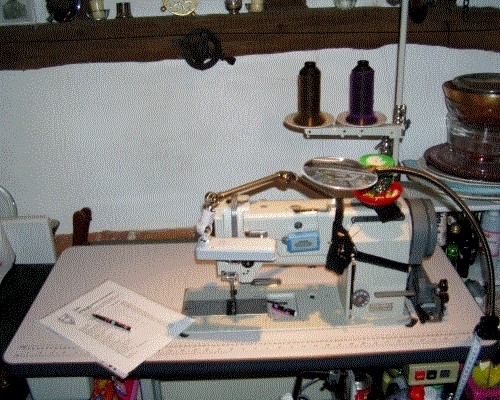 Your garments can be embellish or updated by altering the cut or, for instance, applying custom embroidery. Coats and jackets and other lined garments can be relined. We can replace boot zips and repair knitwear. Many simple jobs can be turned round very quickly. Zips (if we have a suitable replacement) can be replaced within 24 hours (and we can often simply replace sliders and pullers whilst you wait). Plain hems, untailored cuffs and many similar jobs can be done whilst you wait, pressure of work allowing. We have a separate web site with details of our work on leather articles. In practice, very little is impossible. We do not, however, alter curtains nor do we alter wedding dresses and due to a severe allergy, we can't handle down or feather filled items.